Offering a terrace and free WiFi, Potts Point Fully Selt-Contained One-Bedroom Apartment (18MAC) is located in the Potts Point district in Sydney, 1.3 miles from Art Gallery of New South Wales. Guests staying at this apartment can use the fully equipped kitchen. 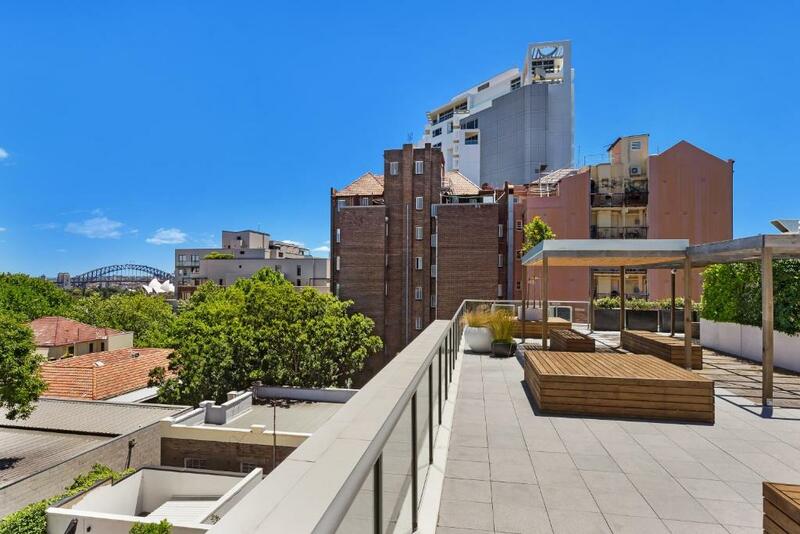 Providing access to a balcony, this air-conditioned apartment comes with 1 separate bedroom. A flat-screen TV is offered. Allianz Stadium is 1.7 miles from the apartment. 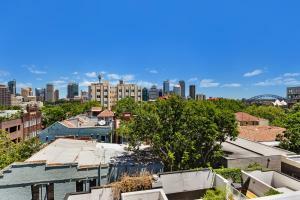 The nearest airport is Kingsford Smith Airport, 6 miles from the property. 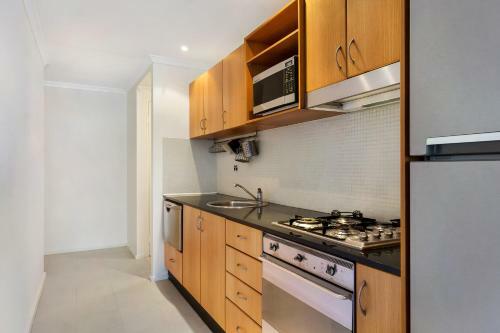 When would you like to stay at Potts Point Fully Selt-Contained One-Bedroom Apartment (18MAC)? 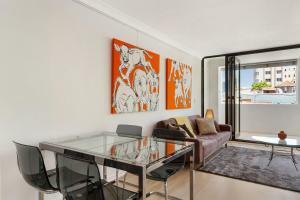 Stylish one bedroom apartment in Potts Point available through Furnished Properties. 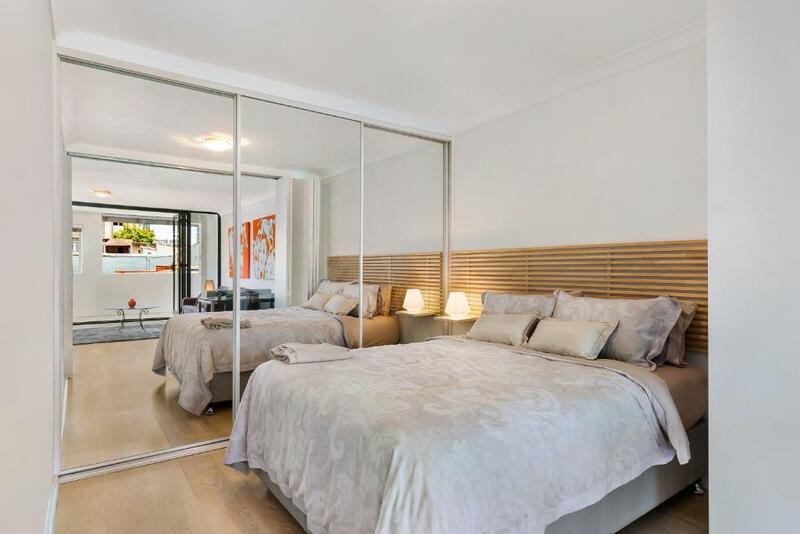 Practicality and style is combined with this fully furnished one bedroom, one bathroom apartment which is conveniently located on Macleay Street in Potts Point and is only a short stroll to the Sydney CBD. 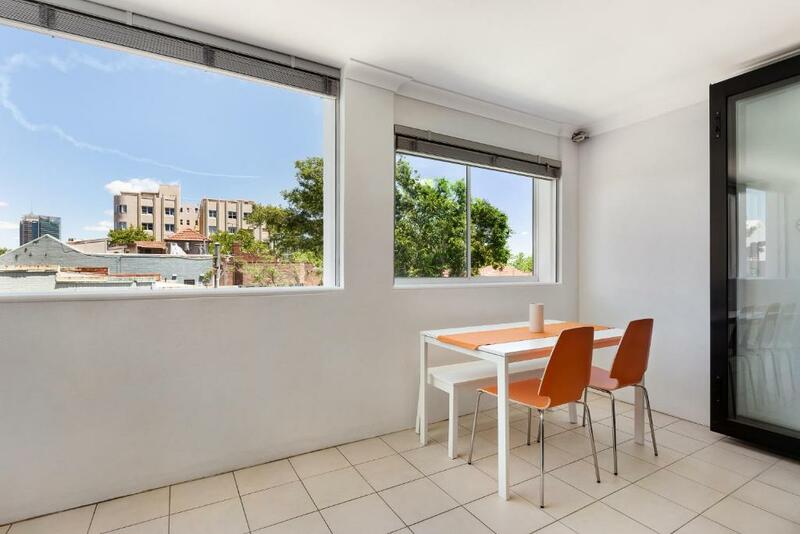 The apartment is surrounded by an array of trendy bars, cafes and restaurants within Potts Point, and is only moments away from public transport. The beautifully modern one bedroom apartment is a perfect retreat for both the corporate or holiday traveller in search of short or long term accommodation and comes complete with a rooftop terrace, linen and towels, modern furniture, fixtures and fittings including a plasma TV, washing machine, dryer, dishwasher, air conditioning and WIFI. This apartment ticks all the boxes for those wanting a comfortable stay whilst in Sydney. Potts Point is a small, densely populated suburb of inner-city Sydney, Australia and is located 3 kilometres east of the Sydney CBD. 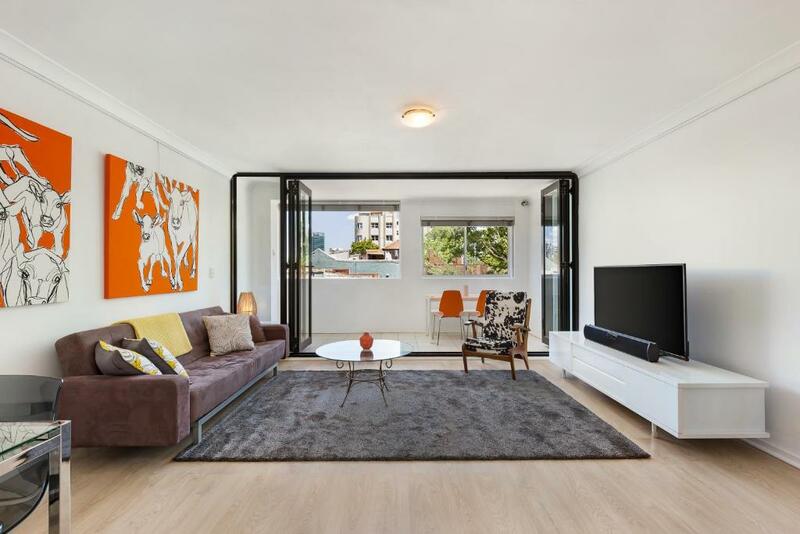 House Rules Potts Point Fully Selt-Contained One-Bedroom Apartment (18MAC) takes special requests – add in the next step! 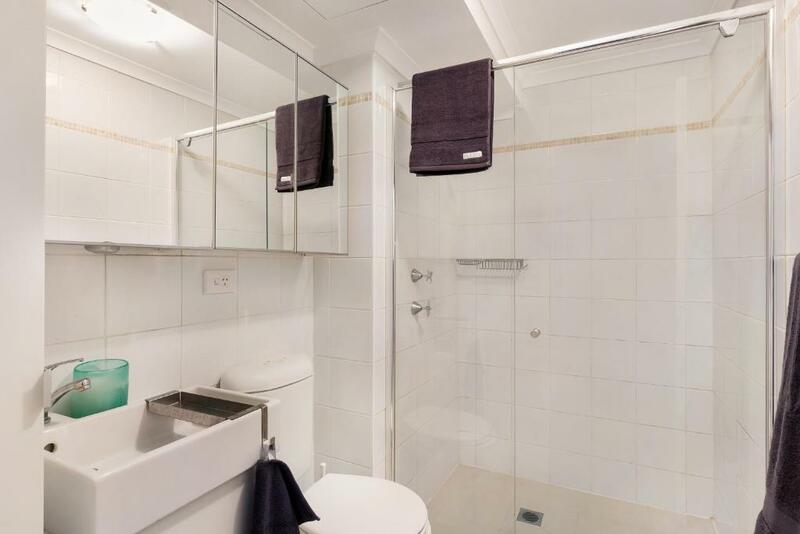 Potts Point Fully Selt-Contained One-Bedroom Apartment (18MAC) accepts these cards and reserves the right to temporarily hold an amount prior to arrival. Please inform Potts Point Fully Selt-Contained One-Bedroom Apartment (18MAC) of your expected arrival time in advance. You can use the Special Requests box when booking, or contact the property directly using the contact details in your confirmation. We need at least 5 reviews before we can calculate a review score. If you book and review your stay, you can help Potts Point Fully Selt-Contained One-Bedroom Apartment (18MAC) meet this goal. Air con was a little noisy, but then it was super hot in Sydney! The view from the roof terrace was amazing, watched the New Year Fireworks! Location good, close to Kings Cross station, plenty of shops and cafes nearby. The owners are lovely people too! We didn't like the noisiness and disturbance from the Backpackers down below the balcony of the apartment.